As a Moms Connect member, our family was lucky enough to review candies from The Lovely Candy Company. Being a food conscious “allergy mom” I am always on the lookout for natural products that fit within our family’s dietary needs. 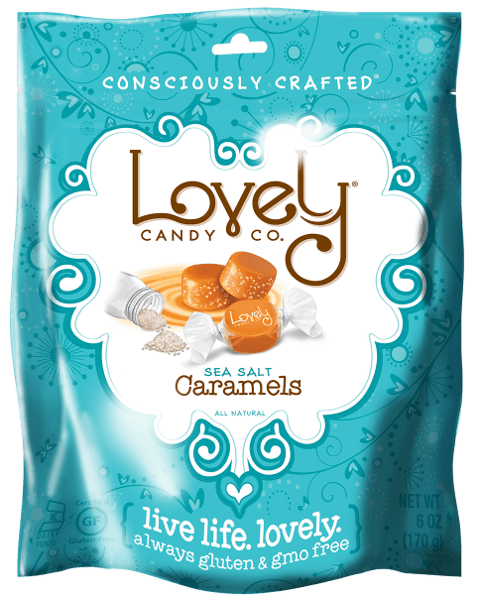 Lovely Candy ® is kosher, gluten free, non-GMO, has zero trans fats, and no high fructose corn syrup or artificial ingredients. While their flagship product is their Gluten & GMO FREE licorice, their candy line also includes Caramels, Fudgee Rolls, and Vegan Fruit Chews. Sea Salt Caramels are my absolute favorite candy, and the Lovely Candy® Sea Salt Caramels do not disappoint! Naturally, this was the first item I sampled. The caramels are creamy with a silky soft texture. The rich, sweet vanilla contrasts perfectly with just the right amount of sea salt. We also tried the Bananas Foster Caramels, which are as creamy and soft as the Sea Salt Caramels with a subtle, not overpowering, hint of banana. These candies have a full, real fruit flavor. The first one I sampled was raspberry, and it tastes like you are biting into an intense, sweet raspberry. I also like the fact that these candies don’t have any high fructose corn syrup. They are simply made from brown rice syrup, dried cane syrup, palm oil, freeze dried fruit (blueberry, cranberry, and raspberry) and other natural flavors. Overall we enjoyed each of the candies we sampled. We all have our favorite. Our top two being the Sea Salt Caramels and Super Fruit Chews. 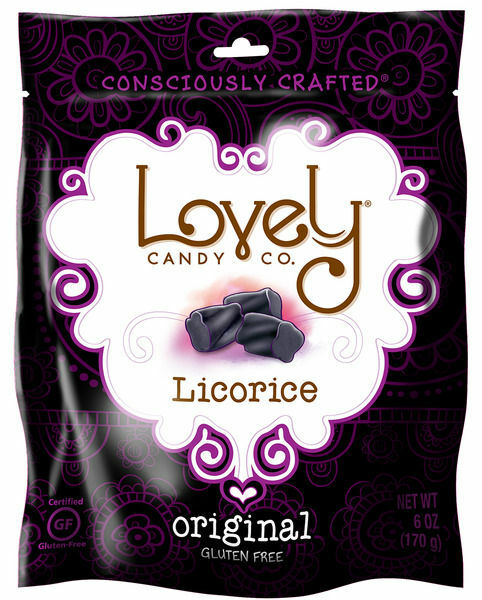 If you are a black licorice fan, their Original Licorice is the real deal. Theirs is a full flavored, traditionally textured licorice, naturally sweetened with blackstrap molasses. Lovely Candy® is the perfect size for a treat and because they are so rich, just a few will satisfy any sweet tooth. We appreciate the re-closable zipper pouch to help keep the candy fresh after opening. They make a great stocking stuffer and travel snack too! Lovely Candy can be found several retailers such as Target, H.E.B, & Whole Foods, or order online for the Holidays! *Disclaimer: We received these items free of charge for the purpose of review. All opinions contained within are our own.